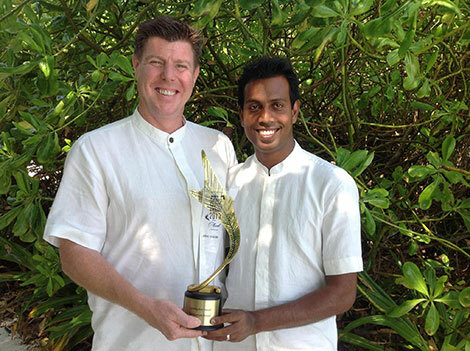 Soneva Fushi wins Leading Eco Resort Award at the 2013 Maldives Travel Awards. The resort is recognized for its exemplary sustainability performance whilst yet delivering resort experiences to top international standards. Of notable achievements are the way Soneva Fushi handle their waste at their Eco Centro where over 80% is recycled. Also their annual Soneva Nature Trip that for 15 years running have taken 100 school children one a week-long sustainability educational trip was highlighted. Soneva Fushi is situated in Baa Atoll in the Maldives and have helped the area achieve UNESCO Bioshere Reserve status. Reblogged this on Keep Me By the Wavey, Green Colour Water: Book by Jane Mauret. You are probably on Steve’s distribution list already, but in case not, I thought the attached might be of interest.